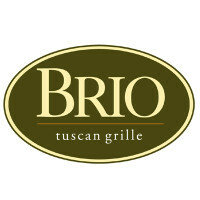 Brio Tuscan Grille is an Italian-style restaurant that is owned by the Bravo Brio Restaurant Group. To see what career paths are available and to find out how to apply for Brio Tuscan Grille online, follow the link at the bottom of the page to get started on your Brio Tuscan Grille application. The Bravo Brio Restaurant Group owns around 90 different restaurant locations in the United States. The other brands in their group are also along the Italian theme and include Bravo! and Cucina Italia. The group was founded back in 1990 and the company headquarters are located in Columbus, Ohio. It provides employment for over 10,000 employees. The menu includes options for brunch, lunch and dinner as well as a separate bar menu. The brunch options include omelettes and French toast, for lunch there are soups, salads, paninis and pastas and for dinner you can also find grilled and house specialties. In addition to this they also have desserts and coffees. The restaurants also offer a party and catering service. Most locations have private function rooms that are available to hire for large groups. The banquet menus include options for brunch, lunch, dinner and dessert so you can have your event at any time of the day and for any occasion. Brio Tuscan Grille careers are split into Team Members, Chefs and Managers. The hourly positions available are both front and back of house Team Members. These are entry-level positions but there are always job opportunities for dedicated individuals and experienced applicants to advance to the assistant and general manager roles. You can also apply online for careers in the corporate side of the industry through their parent company. There are many roles available in areas including Human Resources, Information Technology, Marketing and Real Estate amongst others. To submit applications for most of these roles you’ll need experience in the field chosen and some will require a college degree. How old do you have to be to work at Brio Tuscan Grille? You only need to be 16 years old or over to apply for jobs at Brio Tuscan Grille. The various benefits that you will receive for Brio Tuscan Grille jobs depends on your specific job description. For full-time and other eligible employees the benefits may include healthcare options such as medical, dental and vision insurance plans as well as 401(k) retirement plans and paid time off. All employees should get discounts on meals. Server – As a Server you’ll have a variety of different responsibilities but the main focus will include serving customers and taking orders. Your communication skills will be very important in this role as customer interaction is key. The hourly wage is around $5. You will also be able to earn tips. Chef – As a chef you have one of the most important jobs. You will prepare the items off the menu according to the specifications. It is important in this job that you stick to strict food preparation and hygiene standards. There are dedicated training programs for Chefs. The salary will vary depending on your level but can range from $20-70k/year. Assistant Manager – Assistant managers are there to support the general managers and must be able to run the restaurant in their absence. You will be responsible for overseeing and helping to train staff and ensuring that they are delivering high quality customer service as well as meeting the hygiene and restaurant standards. The salary can be up to $30k/year. General Manager – The General Manager is responsible for running all aspects of the restaurant including staff hiring, training and management. You will need to ensure that the restaurant is consistently performing well. There will also be back office administrative duties to be handled. The salary can be up to $70k a year. After you submit your Brio Tuscan Grille application, prepare yourself for the interview by going over some questions you might be asked. Why do you want to work at here? This is a very standard question for any job so you will need to be prepared for it. Make sure you do some research and come up with positive reasons why you want to work there. How would you handle an angry customer? It’s important that you are able to handle potentially stressful situations in a calm and professional manner. If you can then try to use a similar example from your previous employment experience. How do you cope working in a team? Teamwork will always be a very important part of Brio Tuscan Grille jobs so you will need to work well with others. Try to come up with another example for either work or school. Are you good at multitasking? You’ll need to be able to handle different tasks at once such as serving multiple customers or preparing different orders. All employees will need to be able to think quickly on their feet. What is your biggest weakness? People can often be nervous trying to answer this question. Talk about what you have learnt from your weaknesses and how you are going about trying to improve. To submit a Brio Tuscan Grille job application online, you can follow the link to find the careers section of their website. You will need to fill in the online application form detailing your past experience and education and upload your resume. Make sure you double check your details before submitting to guarantee you haven’t made any mistakes. By searching for Brio Tuscan Grille jobs online you will be able to find all the opportunities available or you can download a printable application for Brio Tuscan Grille. If you wish to make a direct application to your local restaurant then you can go down there and request a free application form from the manager. Make sure you are smartly and professionally dressed even if you are applying for an entry-level position when you turn up to your interview. It is important to be friendly and smile as well as maintain eye contact. Always bring a copy of your resume with you even if you have already submitted one. In your interview you should always try to give specific examples when answering questions. The questions will generally give you potential scenarios that you will have to react to or ask about your previous work experience. Take your time to think through your answers and remember to answer in complete sentences. Ruth’s Chris Steak House: See our guide for careers at Ruth’s Chris Steak House. Maggiano’s Little Italy: Use the Maggiano’s Little Italy job application to apply here. Nando’s: Checkout the application page for work at Nando’s. Saltgrass Steak House: Saltgrass Steak House offers opportunities for both, beginners and experienced roles. Bertucci’s: For career opportunities, fill out the Bertucci’s online application.